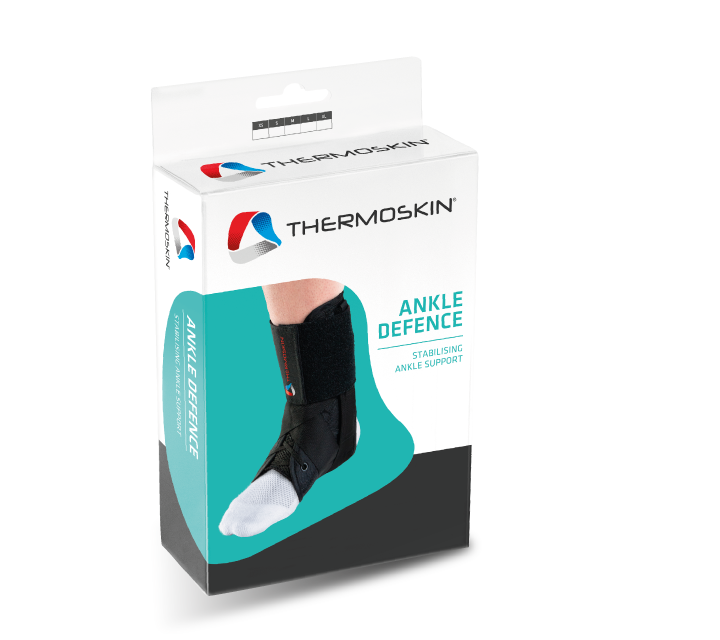 Ankle Defence® Brace – Thermoskin – Supports and braces for injury and pain management. Fits comfortably in a shoe. Stabilising straps lock the heel. Breathable tongue helps keep ankle cool and dry during activity. 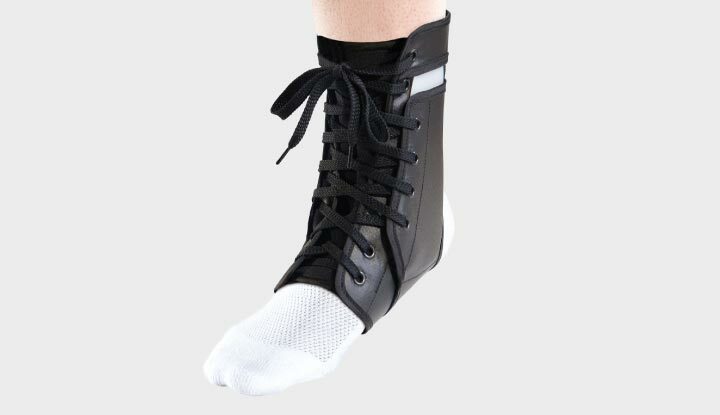 The Ankle Defence® brace has been designed to be worn over an athletic sock. 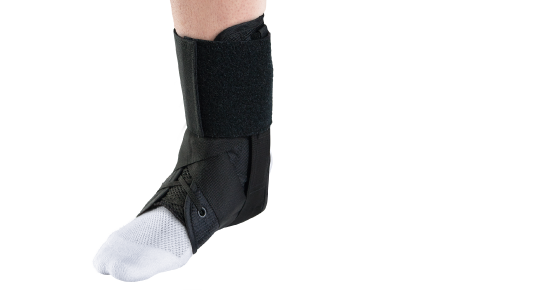 Hold the brace on either side and pull it over your foot like a shoe. Ensure both side stabilisers are in the side pockets as required, then lace up firmly. Begin by lacing the bottom two eyelets just comfortably tight. 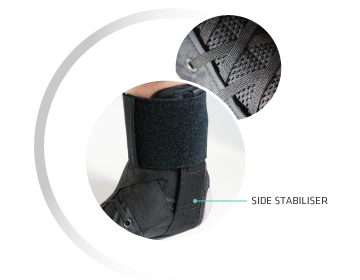 Wrap the inside (medial) stabilising strap under the heel and attach the fastener end of the strap to the side of support. Repeat steps 2 and 3 for the outside (lateral) stabilising strap. 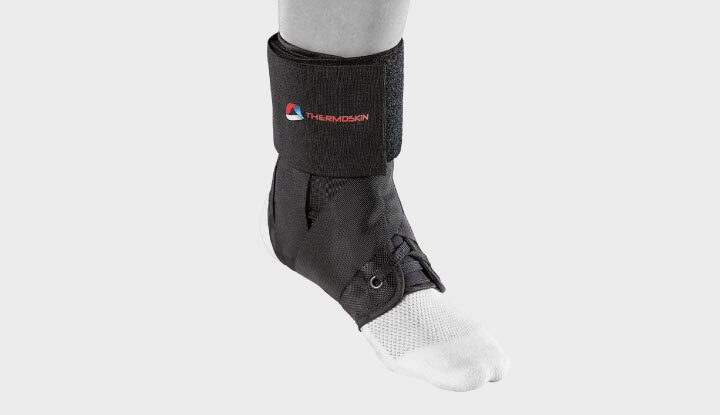 Now that the brace is in position, you can re-adjust both the medial strap, and lateral strap as needed, to achieve the desired tension. Wrap top elastic strap closure over the tied laces and secure. 60% Nylon, 15% Polyester, 10% Spandex, 10% PE, 5% Copper. Ankle Defence® is registered under Australian Trade Mark Registration No.1588899 in class 10 Certificate of registration.